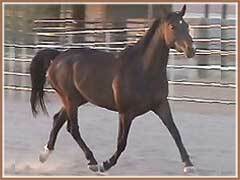 "Tropic" is a beautiful dark bay mare, out of the remarkable breeding program of Ursula Liakos. 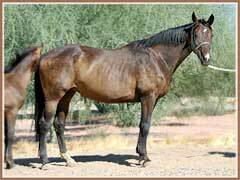 She is very typey with 3 good gaits and only an injury as a young horse kept her from becoming a competition mount. 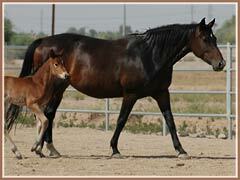 She has a very calm nature and is a doll to work with. 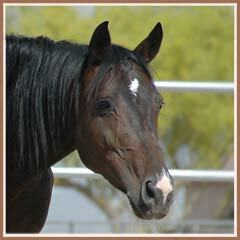 In March of 2005, Tropic delivered a dark bay colt, Tejon, by the Premium stallion Tanzeln. 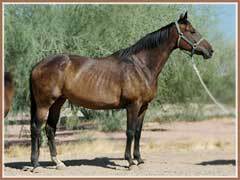 Tropic had a beautiful bay filly, Talara, on May 2nd 2006. 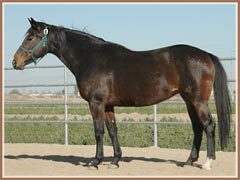 Tejon found a wonderful home in the Phoenix area and Talara is currently on lease to a local dressage rider. 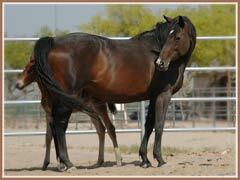 A huge thank you to Dianne for the use of this special mare!